Steve, nick & joe have pioneered and popularized the idea of 'cheap & cheerful restoration', led efforts to study & research its effectiveness, and advocated for stretching the impact of limited restoration dollars further. Steve is a principal and co-founder of Anabranch Solutions. Steve is a veteran in conservation, wildlife biology and restoration ecology. He has worked all over North America on conservation issues ranging forestry and fisheries to wildlife management. Steve and Nick started working together in 2007, when Steve joined Eco Logical Research, and they started the Asotin Creek Intensively Monitored Watershed. Steve and Joe started working together in 2009 on developing cheaper ways of building instream wood structures (see HDLWD) in the Asotin. 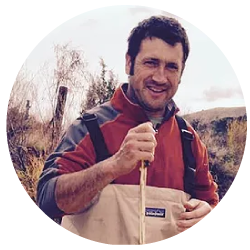 Steve earned a PhD in Fisheries Biology from Utah State University in 2007, where he contributed to conservation planning for Westslope cutthroat populations in British Columbia. Steve continues to study cutthroat, and is involved with maintaining a long-term research project for Bonneville cutthroat in Logan. Steve joined the Department of Watershed Sciences as a Senior Research Scientist in 2011 and became an Adjunct Assistant Professor in 2013. 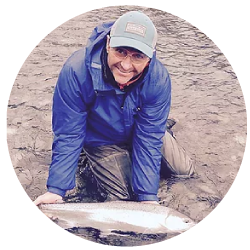 Steve has a wide range of experience in river, forestry, wildlife, and fisheries sciences, and also carries a Masters in Resource and Environmental Management from Simon Fraser University, and a B.S. in Wildlife Biology from the University of Montana. Stephen and his wife road trip to bird hot spots whenever they can. Joe is a principal and co-founder of Anabranch Solutions. 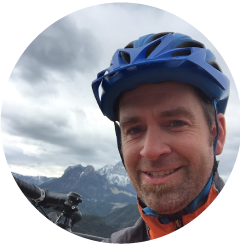 Joe is an Associate Professor at Utah State University and a fluvial geomorphologist with over fifteen years of experience in river restoration as both a design practitioner and researcher. Joe's research is focused on better understanding the dynamics of rivers and streams, how such fluvial processes shape instream and riparian habitats, and how biota modulate and amplify those processes. For example, some of Joe's research focuses on how the dam building activity of beaver alter physical habitat for their own benefit, but also to the benefit of a slew of other fauna and flora. Much of Joe's work focuses on taking such understandings and translating them into useful applications. For example, Joe has helped pioneer the development of new stream restoration approaches (e.g. cheap and cheerful restoration techniques like using beaver as a restoration agent), building large scale monitoring programs that leverage the latest technologies (e.g. Columbia Habitat Monitoring Program and Big Rivers Monitoring Program), and building new analytical software apps (e.g. Geomorphic Change Detection Software) and simulation models (e.g. MORPHED, BRAT) to help scientists and practitioners alike. Joe's work straddles the interface between physical and ecological sciences. Joe runs the Ecogeomorphology & Topographic Analysis Lab in Utah State University's Department of Watershed Science and his group is a leader in the monitoring and modeling of riverine habitats and watersheds. He worked four years in consulting engineering before completing his B.S. in Hydrology (2002, UC Davis), an M.S. in Hydrologic Sciences (2003, UC Davis), and a Ph.D. in Geography (2008, University of Southampton, UK). He worked as a lecturer in Physical Geography (University of Wales 2006-08), Research Assistant Professor in Geology (Idaho State University, 2008-09) before becoming an Assistant Professor at Utah State University (2009-Present) where he teaches courses on geomorphology, fluvial hydraulics, ecohydraulics, GIS, geomorphic change detection, and river restoration.